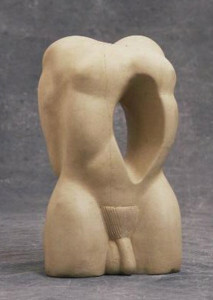 Fire in the Belly is a unique sculpture hand-carved by Marko in rare Beer limestone from Devon. It was inspired by the book with the same name. Part of a Private Collection in Somerset, UK.